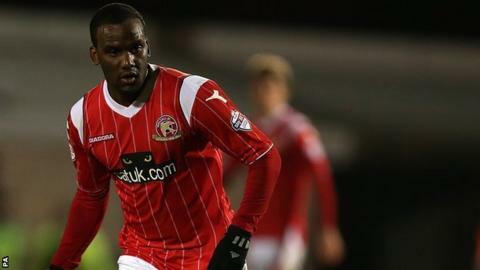 Walsall have released this season's 17-goal top scorer Craig Westcarr as part of an eight-man end-of-term clear-out. Fellow striker Troy Hewitt, also signed a year ago, from Queens Park Rangers, and midfielders Nicky Featherstone and James McQuilkin have also been let go. Youngsters Ben George, Danny Griffiths, Shane Lewis and Liam Roberts have also not been offered new contracts. Club captain Andy Butler, 30, is one of six players still negotiating new terms with the Saddlers. And fellow defender Dean Holden has accepted a player-coach role for the 2014-15 campaign. As well as Butler, discussions are also currently ongoing with defenders James Chambers, Andy Taylor, Ben Purkiss and young midfield men Kieron Morris and Jake Heath. The Saddlers plan to speak to striker Ashley Hemmings when the season is over at Burton Albion, where he is currently on loan, after their League Two play-off campaign is over. Walsall, who fell away to finish 13th in League One, have nine players left in their existing squad still under contract. And they have taken up one-year options on two emerging youngsters - defender Matt Preston and midfielder Reece Flanagan. Initially signed on loan from Chesterfield in November 2012 before penning a one-year deal last summer, 29-year-old Westcarr hit 22 goals in 64 appearances for the club. But he earned a red card, having earlier scored the winning goal, against Shrewsbury in late March, which ruled him out for three matches at a crucial point in the the Saddlers' bid to make the League One play-offs. Featherstone, 25, made 65 appearances in his two years with Walsall, following Richard O'Kelly from Edgar Street in the wake of Hereford United's relegation from the Football League. Midfielder McQuilkin, 25, who also came from Hereford, enjoyed just two starts in the 10 games he played following his arrival last summer. Hewitt, 24, failed to find the net for Walsall in 25 league appearances, 17 of which came as substitute, his only goal for the club coming in the 2-2 Johnstone's Paint Trophy tie against Wolves at Molineux. Defender George, 20, made just one appearance for the club, two seasons ago, but striker Griffiths and keepers Lewis and Roberts did not figure.